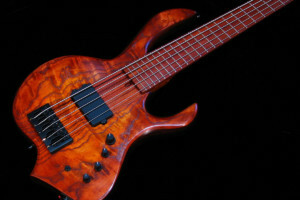 This week we check out a cool collaboration between Bee Basses luthier Fred Bolton and Dan Lenard of the boutique bass website Luthiers Access Group. 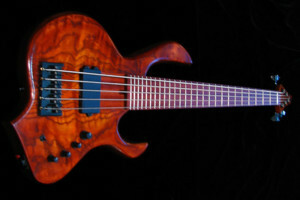 While many Bee Basses instruments are ordered as extended range instruments, Bolton and Lenard decided to create a “normal” bass in the form of a 5-string. The resulting Worker Bee 5 is still beyond normal. 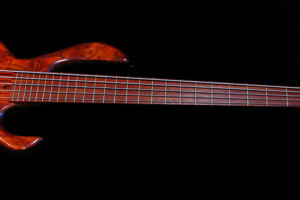 The bolt-on bass features the company’s unique Worker Bee body shape built with cooked poplar and a figured ash top. 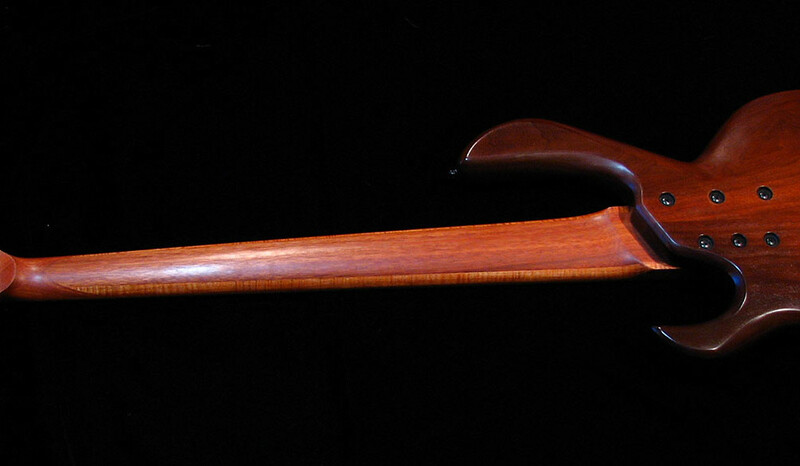 It has a 33.5″ scale with a bloodwood and flamed maple neck topped with a bloodwood fretboard. For electronics, the bass is fitted with a Delano pickup controlled with a 3-position coil selector and a Glockenklang custom preamp. 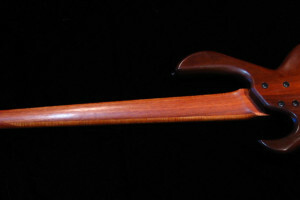 Bee Basses are hand-built and can be ordered to different specs. 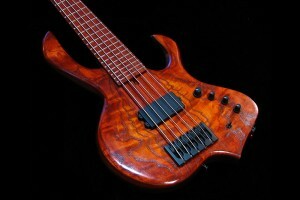 For more, check out the Bee Basses website. I can picture myself playing this… nice bass.